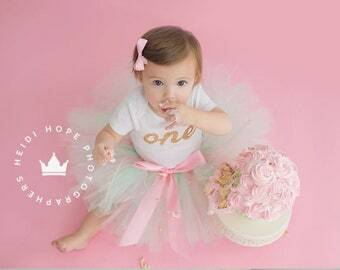 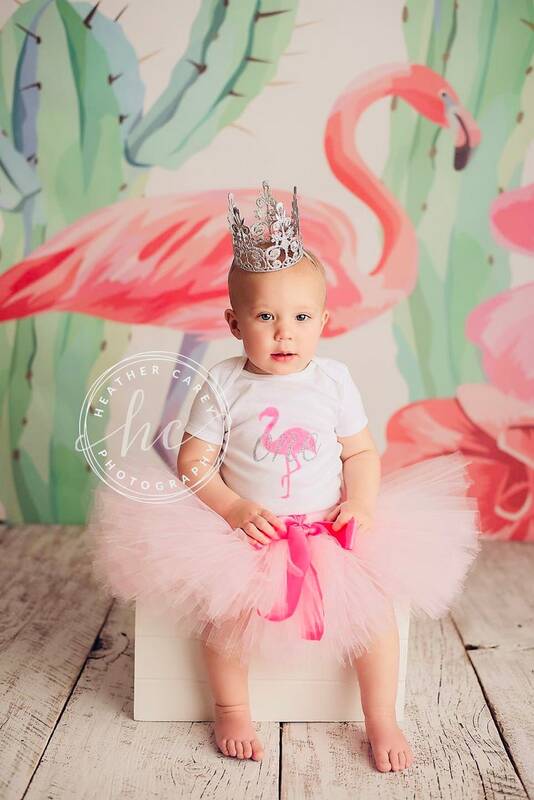 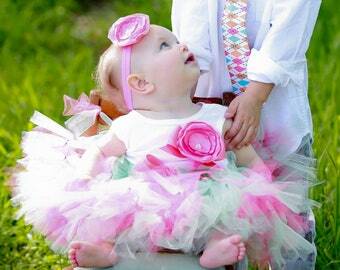 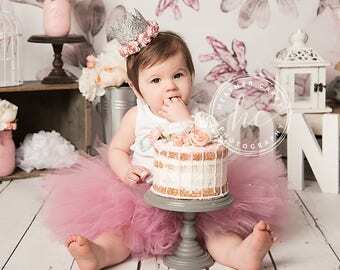 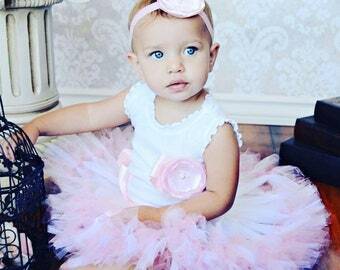 This adorable pink flamingo tutu and top would be super cute for a baby girls first birthday or cake smash photo shoot! 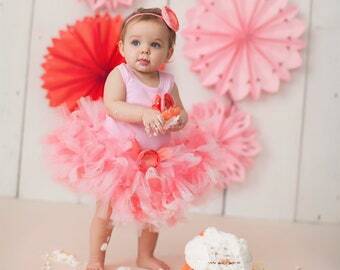 The tutu is a light soft blush pink topped off with a flamingo pink satin bow sash. 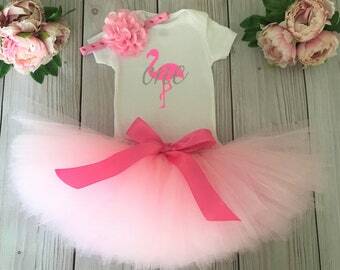 Tank top, short or long sleeved bodysuit or shirt can be created with baby girls name or age. 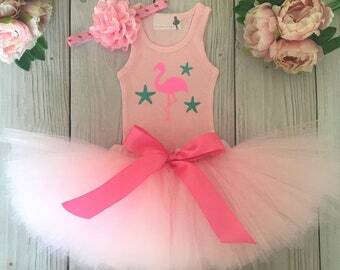 Matching flamingo headband can also be added in the drop down menu. 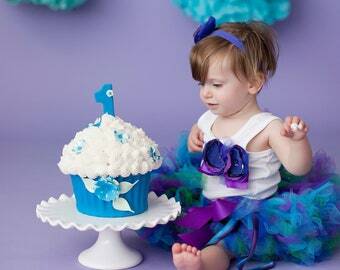 Need to match your party theme or color scheme? 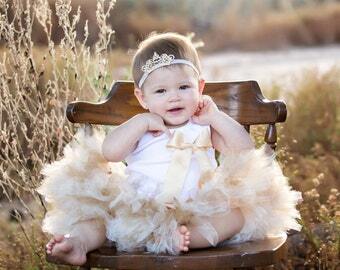 Message us to discuss your baby girl's big day! 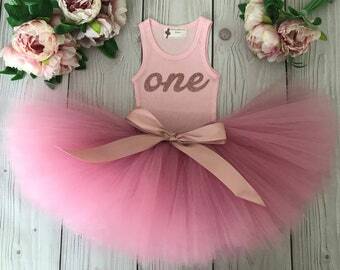 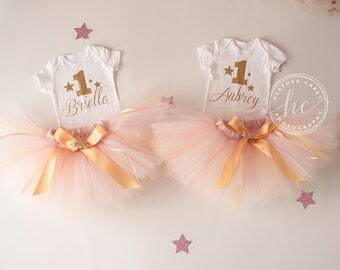 Tutu dresses created to match any party theme!